Situational awareness: A big energy fight is brewing in Canada after conservatives won Alberta's provincial election. United Conservative Party leader Jason Kenney has "vowed to get stalled pipelines built, scrap the province’s carbon tax, and create a 'war room' to hit back at anti-oil-sands campaigners," Bloomberg reports. U.S.-based electric bus maker Proterra is partnering with Japanese investment firm Mitsui to expand a program that slashes buyers' upfront costs — by allowing them to lease instead of buy the vehicle's battery, which is a major expense. Why it matters: It's part of the wider evolution of the growing electric bus industry. "There are a lot of innovative models coming up around EV buses in particular. Upfront costs are still high, but there's a growing number of ways to get around that," Colin McKerracher of the consultancy Bloomberg NEF tells Axios. "Municipal buses will probably go electric faster than any other major vehicle segment," he said. Driving the news: Mitsui is putting $200 million behind Proterra's leasing program in an effort to speed up North American sales growth. The 12-year leases include performance warranties and midlife replacement. "The battery leasing credit facility, the first of its kind in the North American public transit industry, is expected to lower the upfront costs of zero-emission buses and put Proterra electric buses at roughly the same price as a diesel bus," the companies said. The big picture: Electric buses are competitive with internal combustion models over time, thanks to the absence of diesel fuel costs. But they're more expensive on the front end. And, the vast majority of deployment is in China. By the numbers: Proterra CEO Ryan Popple, whose company largely serves U.S. transit agencies, tells Greentech Media that leasing immediately ends the gulf between a $500,000 diesel bus and a $750,000 electric model. “On a percent basis, it takes the upfront premium for an electric bus from 50 percent to zero,” he said to Greentech. The Proterra-Mitsui venture is the latest move in financing. Last year, bus maker BYD teamed up with Generate Capital to launch a program that enables leasing of electric buses. "The area where it's unique is Proterra and Mitsui have segregated the upfront cost and associated risk of the core differential on electric vs. diesel or [compressed natural gas] buses, which is the battery itself," Wood Mackenzie analyst Ravi Manghani tells Axios. "This approach mitigates the inherent hesitation of electric buses and makes the sales cycle mimic that of traditional buses," he says. Two years of wildfires, storms and floods that have caused at least $500 billion in global losses have finally helped to convince big investors of the vulnerability of their assets, Axios’ Steve LeVine reports. What's happening: Big names on Wall Street are partnering with climate science groups to produce countrywide, property-level maps attempting to financially navigate the age of extreme weather-driven calamity. These granular maps can pick out individual commercial buildings and electric power stations, and thus advise investors about the potential impact to their specific assets through the end of the century. BlackRock and Rhodium Group, a consulting firm, this month released a sophisticated program classifying the threat to investments in U.S. municipal bonds, electric utilities, and commercial real estate. Wellington Management, CalPERS and Woods Hole Research Center have produced a similar system for the U.S. with the goal of expanding it to a global analysis. 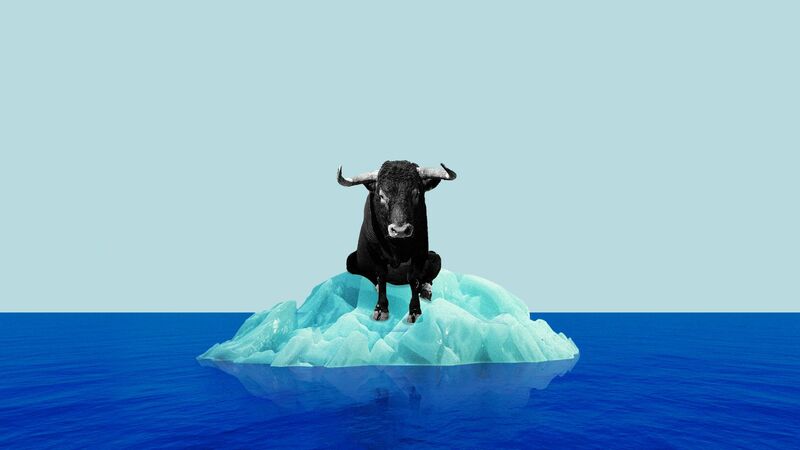 Michael Bloomberg and Mark Carney, governor of the Bank of England, have pushed the world's leading banks and blue-chip companies to quantify and disclose their climate risk since 2017. Why it matters: Their early conclusion is that Wall Street is underpricing the risk of intense heat, wildfires, drought, storms and floods to their investments. "Even the scientifically rudimentary things are something the investment community hasn't thought about at all," Woods Hole president Phil Duffy said. The big picture: The BlackRock, Wellington and CalPERS initiatives also finally take account of an unignorable fact — some of history's biggest fortunes have been made opportunistically in times of chaos. Here's an intriguing possibility: A Democratic presidential primary debate devoted exclusively to climate change. Driving the news: Washington state Gov. Jay Inslee, who is running a climate-focused (and longshot) campaign, last night asked the Democratic National Committee to set one up. "Climate change is at the heart of every issue that matters to voters, and voters deserve to hear what 2020 presidential candidates plan to do about it," he said. But, but, but: The DNC offered an extremely noncommittal statement last night, even as the party emphasized the topic's importance and said Republicans "refuse to even acknowledge that climate change is real." "Democrats are eager to put forward their solutions to combat climate change, and we will absolutely have these discussions during the 2020 primary process." "The DNC is currently ironing out the details for all 12 debates and will work with the networks to ensure that Democrats have a platform to discuss these issues directly with the American people." The battery materials company Sila Nanotechnologies yesterday announced $170 million in Series E funding led by German auto giant Daimler AG and return backers including Bessemer Venture Partners and Chengwei Capital. The big picture: The company is now valued at over $1 billion, CEO Gene Berdichevsky tells TechCrunch. The valuation makes the California-based company "one of the first 'tech unicorns' devoted to improving battery chemistry," the Financial Times reports. Why it matters: The company's technology uses silicon-based anodes instead of graphite as a way to create more energy-rich batteries. "With the latest round of financing secured, Sila Nano has begun ramping up production volume and plans to supply its first commercial customers in consumer electronics within the next year." "Sila Nano will continue to scale up production in the next few years with plans to go to market with automaker partners BMW and Daimler." Children's asthma attributable to traffic-related air pollution dropped substantially from 2000 to 2010, a new study in the peer-reviewed journal Environment International concludes. What they did: The study combined a series of datasets to produce a granular nationwide analysis (check out the map above), focusing on the link between vehicle nitrogen dioxide (NO2) emissions and asthma. What they found: A 33% drop over the study period. "[W]e estimated on average 209,100 and 141,900 attributable cases due to NO2 in 2000 and 2010, respectively, which accounted for 27% and 18% of all childhood asthma incident cases," the study finds. "There may be multiple causes, including more fuel-efficient vehicles, more stringent regulation on nitrogen oxide emissions and, potentially, reductions in total vehicle miles traveled due to the recession." But, but, but: Despite the progress, Khreis notes that traffic is still making lots of kids sick, and that children in urban areas had twice the NO2-linked percentage of asthma compared to rural kids. She's hopeful that their mapping and analysis will help policymakers, transportation agencies, medical groups and others address the problem. The disclosed lobbying portion of a wider advocacy campaign to gain traction for a carbon tax remains quite modest by Beltway standards, despite financial pledges from ExxonMobil and ConocoPhillips. By the numbers: A new filing shows that Americans for Carbon Dividends paid K Street heavyweights Squire Patton Boggs $150,000 for lobbying in the first quarter. That's the same tally as the prior two quarters since the campaign, which faces a steep uphill political climb, launched as an offshoot of the Climate Leadership Council, according to the filings. But, but, but: Lobbying Disclosure Act reports are an imperfect look at the scope of the persuasion business. One reason: Reporting requirements are not triggered for people who spend less than 20% of their time on a topic, so filings don't capture all the action. What they're saying: “Our presence on the Hill has increased over the last several months and will continue to increase with time,” said Greg Bertelsen, SVP of Americans for Carbon Dividends. Flashback: The advocacy campaign — in which lobbying is only one portion — launched last year with backers including the utility giant Exelon. A bipartisan pair of former high-ranking senators turned lobbyists are at the helm: Squire Patton Boggs' Trent Lott and John Breaux. Exxon announced in October that it would it would provide $1 million over 2 years for the campaign, and in December ConocoPhillips pledged $2 million over the same period. The CLC and the advocacy offshoot have a proposal that would: impose a carbon tax that begins at $40-per-ton and returns the vast majority of revenues to the public, pare back climate regulations, and shield companies from some lawsuits.